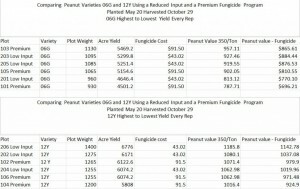 Comparing Peanut Varieties O6G and 12Y using a reduced input and a premium fungicide program. 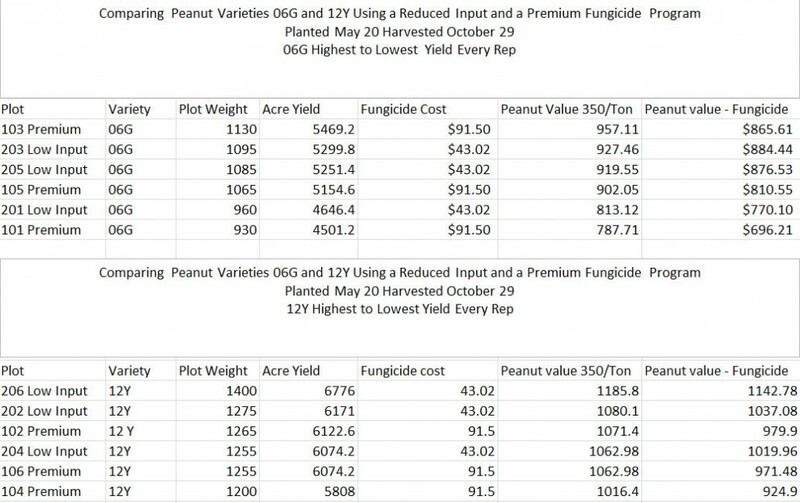 The objective of this research was to compare the economic return when either a reduced cost fungicide program or a premium fungicide program was applied to two different varieties (Georgia-06G and Georgia-12Y). 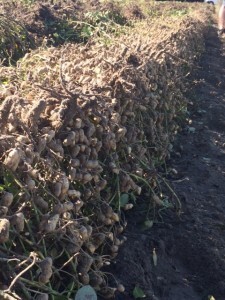 The trial was established at the Vidalia Onion and Vegetable Research Center in Lyons, GA. 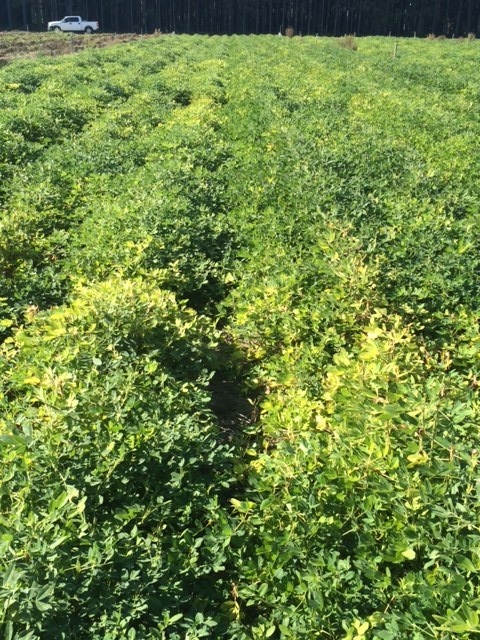 The experimental design was a split-plot and each combination of treatments (fungicide program X variety) was replicated three times. Both programs included seven fungicide applications. The reduced cost treatment was developed around a 4-block tebuconazole (7.2 fl oz/A)/chlorothalonil (1.5 pt/A) program. 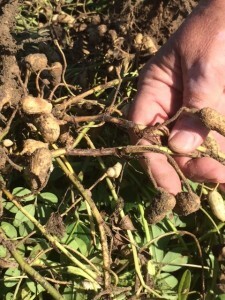 The premium treatment was developed around a 3-block Fontelis (16 fl oz/A) program with a single application of tebuconazole/chlorothalonil as above. 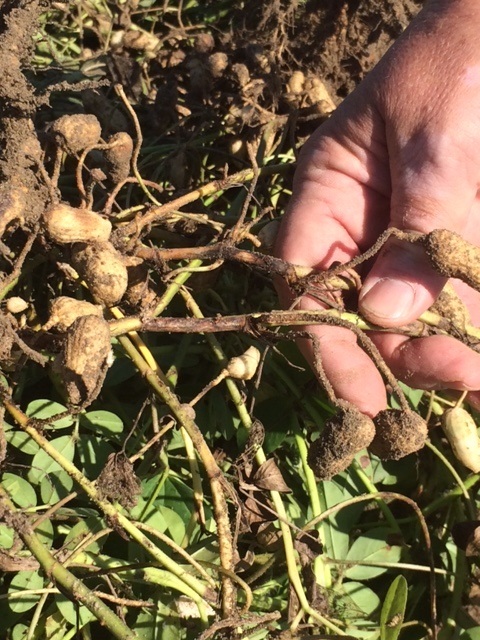 Plots were rated for leaf spot, TSWV, Rhizoctonia limb rot, and white mold. Excellent rotation. 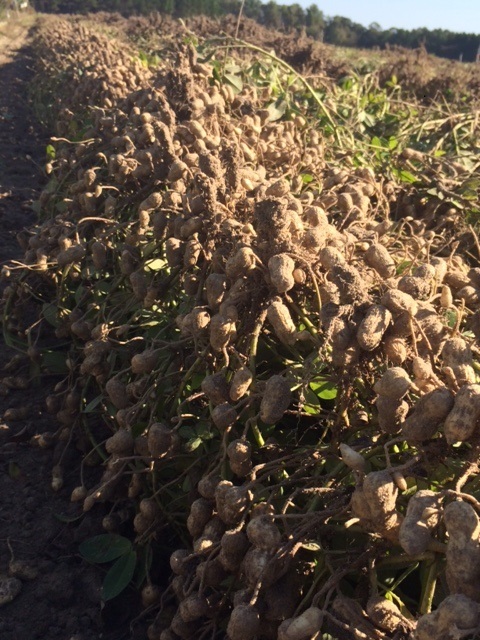 No peanuts grown in three+ years. 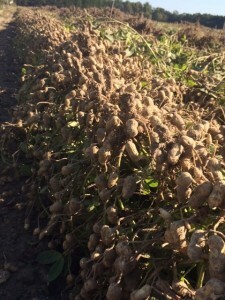 Peanuts were planted May 20 and harvested October 29. 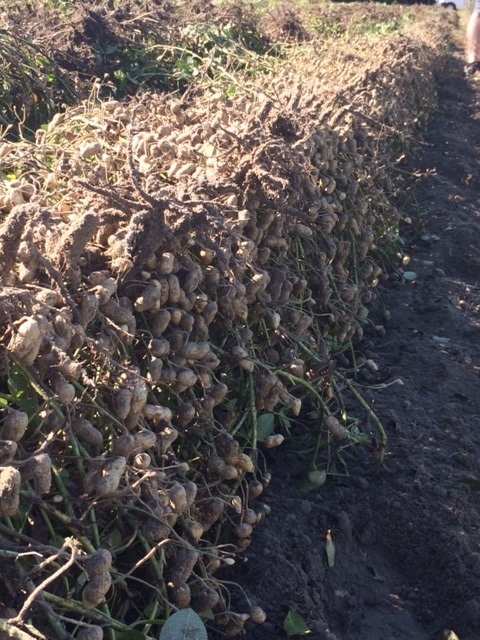 O6G on left and 12Y on right in below picture. You can clearly see the difference in TSWV.